The Swiss businessman Rihs died at age 75 after battling a blood disorder. FLORENCE, Italy (VN) — Swiss businessman Andy Rihs, the financial backer for one of cycling’s top WorldTour teams BMC Racing, died Wednesday evening. The 75-year-old, born in 1942, had been suffering from a blood disorder and was at the Susenberg clinic in Zurich. Rihs reached the sport’s high point when his BMC Racing team won the Tour de France with Australian Cadel Evans in 2011. “I just didn’t lose a mentor and/or a team sponsor, but a close friend. He’s going to be missed,” BMC general manager Jim Ochowicz told VeloNews. Rihs funded BMC Racing to promote his bike brand since 2007. 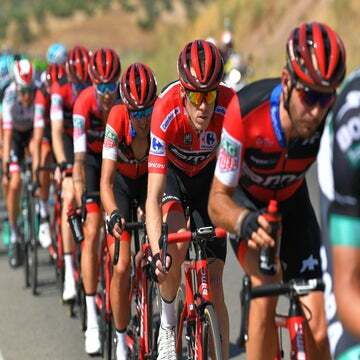 His contribution took the squad from a small, third-division U.S. team to the top with wildcard invitations to the grand tours and eventually a spot on the WorldTour. His hearing aid company backed Team Phonak from 2000 until it disbanded at the end of 2006 after the Floyd Landis affair. Landis won the Tour de France but had the title stripped when a test showed he used synthetic testosterone. Rihs stayed committed to the sport he loved. 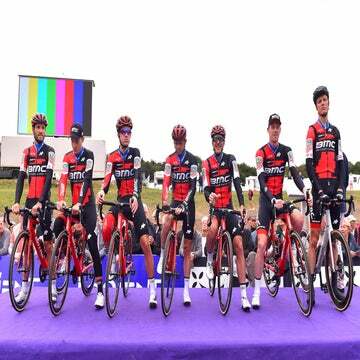 He built the current team around stars Greg Van Avermaet and Cadel Evans. The Belgian Van Avermaet won Paris-Roubaix in 2017 and new hire Richie Porte is trying to get the team another Tour win, with the help of American Tejay van Garderen. The team will continue, with plans to race Sunday in Liège-Bastogne-Liège, but things will be “difficult” without Rihs. “It’s difficult,” continued Ochowicz. “He’s been with this project for 10 years and a friend for 20. A native of Zurich, Rihs also funded the Young Boys football club in Bern and owned La Coquillade, a winery and luxury hotel in the south of France. The current roster includes 24 cyclists. Over the past 18 years, countless others have worn one of Rihs’s jerseys. “He’s been in the sport, helping tremendously in lending support in many different elements in the sport. Always someone who was giving and not taking. On many different fronts,” Ochowicz said. BMC Racing runs on a budget of around 25 million euros ($30.9 million). Already, Ochowicz and his team were looking for a title sponsor to take over in 2019. Several are lined up, but nothing has been confirmed yet.